1. 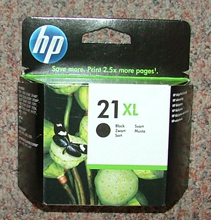 C9351R – Guaranteed MAXIMUM INK FILL Remanufactured HP21XL Black Cartridge – delivered FAST & FREE! 2. 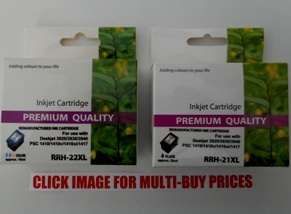 C9352R – Guaranteed Remanufactured HIGH YIELD HP22XL Colour with 300% INK FILL – delivered FAST & FREE! 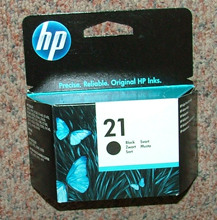 3.HP21-22R – One HP21 Black and one HP22 Colour PAIR of guaranteed remanufactured HIGH YIELD cartridges – delivered FAST & FREE! 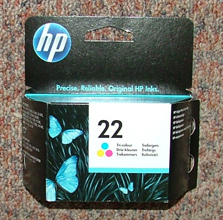 C9351A – Original HP Equipment HP21 Black 5ml Cartridge – delivered FAST & FREE! 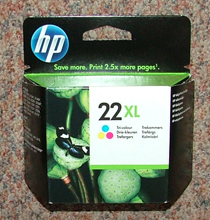 C9351CE – Genuine HP21XL HIGH YIELD BLACK cartridge – delivered FAST & FREE! 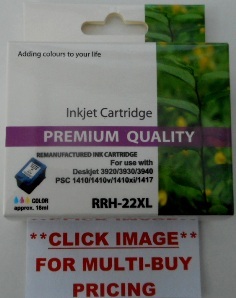 C9352A – Original HP Equipment HP22 Tri-Colour (5ml) Cartridge – delivered FAST & FREE! 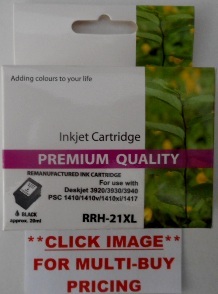 C9352CE – Genuine Branded HP22XL HIGH YIELD Colour Cartridge – delivered FAST & FREE! 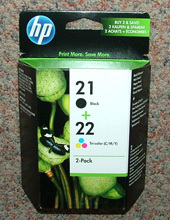 SD367AE – Genuine HP21 and HP22 TWIN-PACK of ink cartridges, delivered FAST & FREE!